In the early 1990s Greece accepted a large number of immigrants from a variety of contexts. Since then ‘organised criminality’ has become an important aspect of the immigration nexus in the country, and ethnicity has been viewed as an extremely important-if not the primary–explanatory variable. 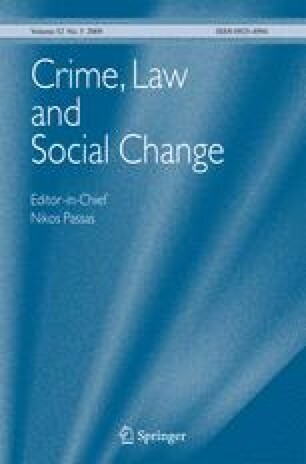 Simultaneously, there has been very little empirical research on ‘organised crime’ in Greece in general and ‘organised crime’ and ethnicity in particular. The purpose of this article, which is based on previous research that the author has conducted on three illegal markets in Greece (a. migrant smuggling business, b. the cigarette black market, and c. the market of stolen cars and car parts), is to show the extent to which these illegal markets are controlled by foreign nationals, and establish whether there is such thing as an ‘alien conspiracy’ in the particular country. I would like to thank Frank Bovenkerk, Klaus von Lampe, Georgios Papanicolaou, Nikos Passas and the anonymous reviewers for their valuable comments and constructive feedback on earlier drafts of this article. The research on the trafficking of stolen cars and car parts in Greece was supported by a University Research Fund (URF) from the University of Teesside. ESYE (2001) Census 2001. <http://www.statistics.gr> retrieved on March 15, 2004.